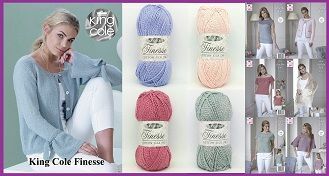 If you love to Crochet Purplelinda Crafts is the site for you. Unlike other websites I mainly sell items for Crocheting, not just for Crochet I have a range of items for Hand Knitting, Loom Knitting, Stitching and other Crafts. My aim is to get more people crafting, show your child or grandchild the skills you have learned or work on something new together. Crafting is a very therapeutic pastime and enjoyed by young and old. I am adding new items all the time so please check back. Cotton Soft Crush 100% Cotton, 100g ball approx 210 metres. Opium Palette 54% Cotton, 42% Premium Acrylic and 4% Polyamide. 100g = 250m. Shawl, Cowl, Hat and Headband crocheted in King Cole Riot DK yarn. 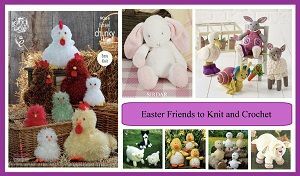 Free Pattern for Crochet Teddy, Elephant, Rabbit, Cat, Monkey in Patons Fab DK. Funny Feetz Sock Wool Knitting Pattern, 4 Designs. Ladies/Mens Small to X Large. Funny Feetz 4ply Sock Yarn 100g = 400m. 75% Superwash Wool and 25% Polyamide. Recycled polyester craft filling for toys and cushions, soft, clean and washable. Soft and light 50% Bamboo & 50% Cotton, 100g = 230m.